Posted on April 29, 2012 by Lupica G.
Bugatti don’t get too many complaints over the cars they make. There are some regarding pricing and some regarding environmental issues but generally those people are crazy anyway. In other words, Bugatti know how to make a car. What’s more spectacular, is that they also know how to tease one they’re working on. Unlike other car makers who’ll tease one of their new models by showing a very dark photo of some difficult to identify detail. That’s not what’s happening here. Bugatti have sent out a full video of the Galibier 16C. They even went ahead and narrated it. 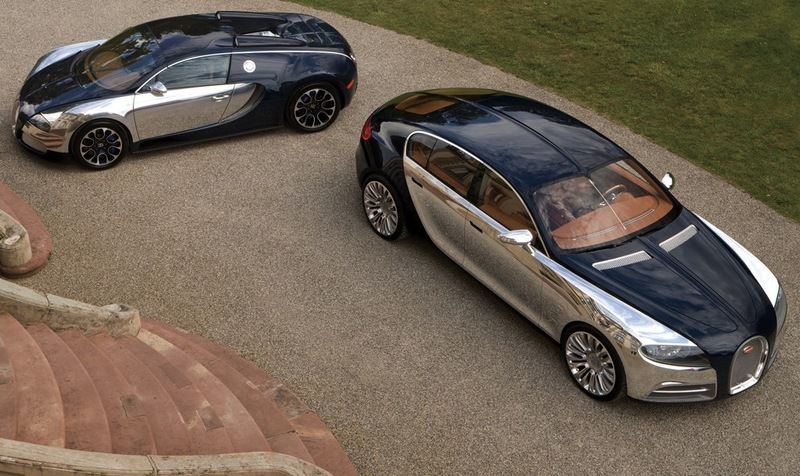 The Bugatti Galibier 16C will be the next vehicle to take center stage in terms of performance and luxury. It will do so with two extra doors compared to the Veyron. Speaking of the Veyron, the infamous VW Group owned car maker also unveiled a second video where they remind us of their illustrious history. Naturally, a big part of Bugatti’s history, albeit the modern one, is made up of the Veyron. That would easily explain how they’ve not spared any expenses into beautifully presenting it. As for the newly teased Galibier 16C, it will likely be just as impressive as the Veyron was upon release. The uber-sedan was already pushed back a few times. The latest of the delays saw Bugatti and VW’s leadership say it’s “not a show stopper” yet. They sent it back to the drawing board at an estimated 800 horsepower. Regardless of the weight, speeds in excess of 210 maybe 220 mph will probably be within reach for the mighty Galibier 16C. This entry was posted in Bugatti and tagged 16c, bugatti, galibier, history, teased, veyron, video. Bookmark the permalink.